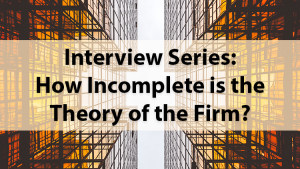 The following interview with Harvard Business School professor Lynn Paine is part of an interview series with influential scholars who are addressing these issues in their work. You can view all previous installments here. 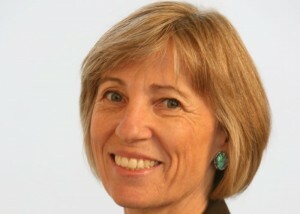 Lynn Paine is the John G. McLean Professor and a former Senior Associate Dean at the Harvard Business School. Her research focuses on the leadership and governance of companies that meld high ethical standards with outstanding financial results. Her most recent book is Capitalism at Risk: Rethinking the Role of Business (Harvard Business Review Press, 2011), which she wrote with HBS colleagues Joseph Bower and Herman “Dutch” Leonard. She has also served as a consultant to numerous firms, companies, and industry groups, and sat on various advisory boards and panels. In a brief interview with ProMarket, Paine shared some thoughts on the role of corporations and governments in the market. It’s a significant omission but it’s not the only one or even the most fundamental. The theory also fails to recognize the corporation’s distinctive legal attributes, neglects the corporation’s critical functions in society, ignores the diverse preferences of shareholders, and lacks a basis for accountability. For the most part, the theory treats corporations as if they were sole proprietorships writ large, forgetting that corporations, unlike proprietorships, are independent entities endowed by law with the potential to endure indefinitely. 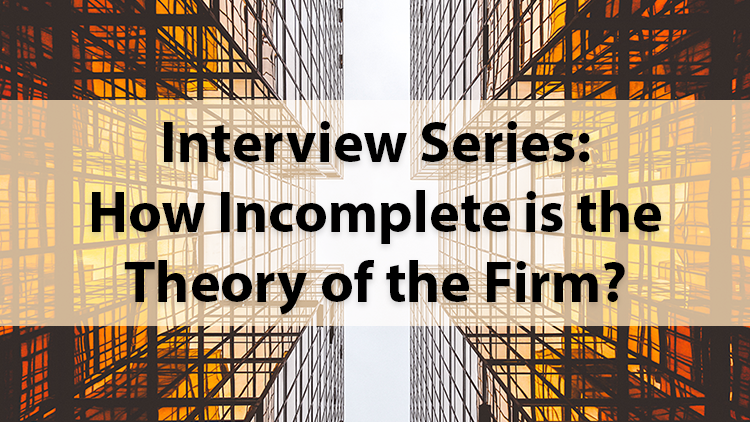 These and other problems with the theory affect our understanding of real-world companies and translate into blind spots in many of the standard frameworks taught in b-schools. In a forthcoming article in Harvard Business Review, my colleague Joe Bower and I look at the theory’s influence on ideas about corporate governance—and ultimately on corporate strategy and resource allocation. However, it’s difficult to mount a challenge to the theory by taking each shortcoming separately without regard to the others. The Stigler Center conference will be a good opportunity to begin putting these pieces together and working toward more realistic ways of thinking about corporations. That’s a complicated question and the answer varies by country. But I certainly don’t think political engagement by corporations is the main culprit. Even if corporations didn’t exist, there would still be conflicting interests, group animosities, power struggles, and competing ideas about how society should be run. Still, to the extent that corporations have funded candidates or lobbied for policies that serve narrow business interests at the expense of the broader public, it’s no doubt been a contributing factor. That’s what’s so puzzling about the financial sector’s current zeal to kill the proposed fiduciary rule requiring brokers who sell retirement products to act in the best interests of their clients. Mobilizing a full-court press to oppose a rule so clearly aimed at protecting working Americans seems like a sure-fire way to incite populist sentiment. To my mind, the issue is not so much whether companies engage or don’t engage, it’s how they engage, because engagement of some sort is inevitable. The trouble is that much of companies’ engagement has been of this narrowly self-serving sort or carried out behind closed doors in ways that are inimical to democratic principles. Whether this can change is a question I hope the conference will consider. In our book Capitalism at Risk, Joe Bower, Herman “Dutch” Leonard, and I described a few examples of more positive forms of engagement. For example, the private sector Committee for Economic Development (CED), set up in 1942, organized itself to do research from the “standpoint of the general welfare” (rather than the more limited perspective of business) and its activities ended up playing a crucial role in getting the U.S. to full employment after World War II. It’s not clear that such an effort could succeed in today’s hyper-partisan environment where claims of objectivity are inherently suspect. The World Economic Forum has come rather late to the party. In Capitalism at Risk, we wrote about all of these forces as potentially disrupting global growth or even threatening the global market system. In talking with groups of business leaders in various regions of the world, we found that many were worried about increasing populism in the wake of these forces—and that was before the financial crisis. My own view is that reforms are needed on multiple fronts. So long as corporate managers see their objective as maximizing returns to current shareholders, without regard to the broader and longer-term effects on other parties, rent-seeking and regulatory capture will persist and the system will continue to underserve significant segments of the population. Keep in mind that only about half of U.S. households own stock (either directly or indirectly through retirement funds) and the bulk of that wealth is held by households in the middle- and higher-income brackets. Based on the evidence to date, I’d say these commentators are overly generous in crediting Trump with any kind of coherent philosophy—call it “corporatism” or anything else. He is simply reacting to the pressures of the moment from his political supporters. What worries me most about Trump is his disregard for the basic principles of constitutional democracy—rule of law, separation of powers, due process, freedom of expression. Whether it’s ignorance, lack of understanding, or merely disdain is hard to say. But I do wonder whether Trump ever took a course that engaged with these ideas. His college transcript isn’t publicly available so we will probably never know, but if he has an undergraduate degree in business, as he claims, he may have had little, if any, serious exposure. Business schools generally do a poor job educating their students about the role of government and business-government relations, perhaps because their faculties tend to rely on theories that either take government for granted or assume it out of the picture. The Trump presidency should be another catalyst for some soul-searching among business educators about what we teach in these areas.